Ok, I mainly picked this up because I needed a new to DVD review, and Robert Englund was in this. Not that he guarantees a good movie, many movies he has been in have been pretty bad, but I always enjoy his parts (even if they are tiny in some) and the other movies didn’t look any more promising. The story starts in a hospital, a woman is in the middle of giving birth, surrounded by encouragement she starts having problems, It is soon revealed that a demonic being is forcing his way out of her, by creating his own exist…Flash to a guy in a straight jacket… Flash to the actual story that is about a small group of cops that have to deal with a supernatural killer that has just showed up with his recent victim and is ready to play. That is the gist, this movie is amateurish, most of the actors are fairly unknown… But, the story moves, some parts get slow but not enough for me to fall asleep (it happens), the effects where low-budget, but well done, and the acting was all in all pretty good. I was expecting a movie that I would have to grit my teeth to get through, but some gummy vamps and a cherry Pepsi was enough to get me through. 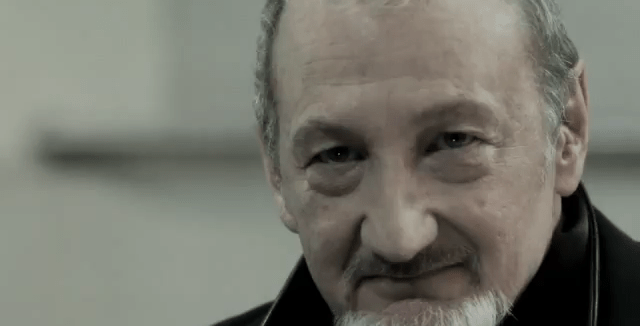 Robert Englund filled the role well, and William Forsythe’s character played a good counter point (Although, the role didn’t allow for much. Really, the only reason I didn’t give Inkubus a higher score is because you guess most of it from the beginning, and the production quality was fairly low. I am going to forgo the SPOILER section and Choices, mostly because this film does not really give me much to work with, but it is still a good rental for someone who wants a horror movie they have not seen.